Digital book printing in Boston, MA has streamlined print production and its associated costs. This type of book printing, in smaller quantities and on shorter schedules, is offered for a more economical price than ever before. With the use of high-speed digital presses, each page of the digitized files for your book is printed in full-color and in high-quality throughout the entire print run. And because digital book printing does not require the costly and time-consuming set-up of offset printing, the time it takes to print per unit is reduced along with the cost. The speed and accuracy brought by digital printing have resulted in quicker turnaround and delivery of books and manuscripts. It is more cost-effective and time-efficient to print, bind, and finish reading materials with digital printing. Not only does this make it more convenient to print books, but it is easier, faster and more economical to reprint and replenish inventory. Digital printing does not involve as much capital as traditional printing, this is good news for authors on limited budgets who want to publish their work. Short run printing and print-on-demand are expected to increase in the coming years because of digital printing. So if you have a project that could benefit from digital printing, contact the Country Press, Inc. The advent of digital printing has brought technical advancements, providing more options and modifications in conventional commercial printing. But it has also brought a dilemma to people who are in the printing and publishing industry. Understanding the pro's and con's of modern and traditional printing processes helps in deciding what to choose given specific conditions and anticipated results. Offset printing is known for its high volume commercial printing capacity, where the content to be printed gets ink from ink rollers while the non-printing area remains ink-free. But because of digital printing, all mechanical procedures of conventional printing is eliminated for a faster output, particularly in short run printing. So, which is better? Knowing what the advantages of these two alternatives for commercial printing can help in judging which is better. When it comes to faster turnaround, accurate proofing, and customization, there is no doubt that digital printing beats offset printing. It offers more accurate counts with less mistakes and fewer variations. Digital printing also provides variable data printing features where changes can be made even on each piece while the printing process is on-going. Cost-effectiveness of both options depends on the quantity that needs to be printed. Since unit cost is indirectly proportional to quantity, then short run printing can be more cost-effective with digital printing while larger loads are likely to cost less with offset printing. Many modern offset presses now use computer-to-plate systems so to not be outdated compared to digital printing. Thus, offset printing could still be a better bet for quality and cost-effectiveness for large volume printing jobs. So before you choose digital printing or offset printing, consider factors such as colors, customization, features, printing media, proofing, and turnaround. For more information on printing and publishing, check out the Country Press. Short run book printing is a great option for the indie author. Short run printing gives the option for book printing for those with little warehousing space and smaller budgets to print their books. It is also a way of making your books truly custom. In the past this meant that the apartment dweller, or someone with little space, could not get best pricing via volume orders as they had no way to manage the warehousing and fulfillment. That’s all changed as a result of short run book printing. Short run book printing means that everyone -- not just mainstream authors -- should be able to publish beautifully designed books with first class production values. Short run books allow an author or publishing company to print anywhere from 11-5000 books at a time. This has opened up the world of publishing to everyone who has written and chooses to publish a book. Short run printing offers self-publishers an option to create and sell beautiful illustrated books. 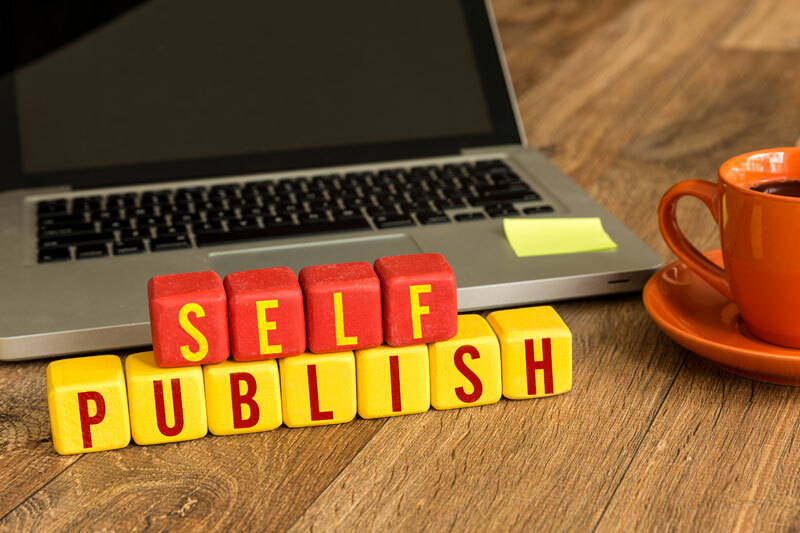 If you are a self-publisher and are looking for books to fill your distribution channel, The Country Press can fulfill your requirements very effectively. Our perfect bound and saddle stitched books are of the highest quality and can be sent directly to your distribution partners. We electronically save both interior and cover materials so reordering can be just a phone call or email away. For more information, contact us. There are many situations where a publisher or author only wants a limited number of books printed. When only a small amount of books are needed, to fulfill orders, for marketing, to handle back orders or for book signings or other marketing events, short run book printing is the avenue of choice. Traditional publishing means thousands of copies of books will be printed. With traditional publishing, storage, initial cost and demand all come into play. For smaller budgets, smaller storage areas and for smaller demand, short run printing can meet your book printing needs. New authors, smaller university courses, and often larger publishing houses cannot often afford to choose traditional publishing leading to thousands of copies of books. A short run book printer can help. For a traditional publisher, the major cost is the setup cost when the printing plates are prepared. Generally, this is really the only cost associated with traditional printing, so if you have a large amount of books to be printed, the cost per book reduces with offset printing. However, if you need anywhere from 11-5000 books, the choice is short run book printing. While the cost per book is higher, the cost for the order is much less, because you can order fewer books. Through short run book printing you can order a limited number of printed books. This is the better choice for many people and organizations, including churches, publishers, authors, universities and municipalities. How do you know if self-publishing or traditional publishing is right for you and your book? Now there are more opportunities and possibilities to write, share, and publish a story — and interact with an audience. Whether you are after the traditional publishing experience, complete with an agent, editor, and publisher, or want to self-publish a book, it's completely within your grasp. You decide what works best for you and your work. If seeing your book in print is to fulfill a personal goal you have choose short run book printing or vanity publishing. Short run printing is best for self-publishers and publishers who may have only a small distribution channel because they can order anywhere from 11-5000 books and order more later if the book sells. The short run book printer will already have both the interior and cover materials of the publication. A short run book printer can make the world of difference to a self-publisher or publisher as being able to order a short run can mean the difference between printing and not printing their book. A vanity publisher publishes any anyone's work provided they have the money to pay for their services. The manufacturer prints and binds a book but does not offer editing, marketing, or promotional assistance. However, the author owns the printed books and retains all profit from sales. If you're writing a family history, memoir or book of poetry that has a limited audience, and don't want your book stocked at bookstores, using POD book printing is probably to your advantage. They are often nonreturnable, not sold at a discount, and you won't have to store any unsold books. Printing in bulk via self-publishing may be your best bet if you have a visible platform established to reach your audience, both online and offline, have credibility with your readers in your genre/category and are prepared to dedicate your time to marketing and promoting your work. Self-publishing requires the author to invest their own money to produce, market, distribute, and warehouse the book. While this can be a huge time commitment, the process can be more cost-effective than other forms of publishing. Self-publishing is also a good option if you have a time-sensitive manuscript. On the flip side, here are a few things to consider. If you don't know how to find or reach your readers, don't have an online presence, don't have the time to spend online or dislike social media, want to be in a brick-and-mortar type of bookstore and have a publisher handle the marketing for you, the traditional publishing route may be the best option. Ultimately it is up to you to decide! For more information on all of your options, contact The Country Press.